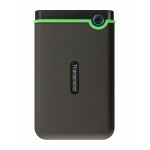 Transcend presents the most reliable and portable devices in the world. Transcend Store Jet 2.5 M3 is one such example and is available here at alaziz computer khan 25 Khan plaza Multan cantt. 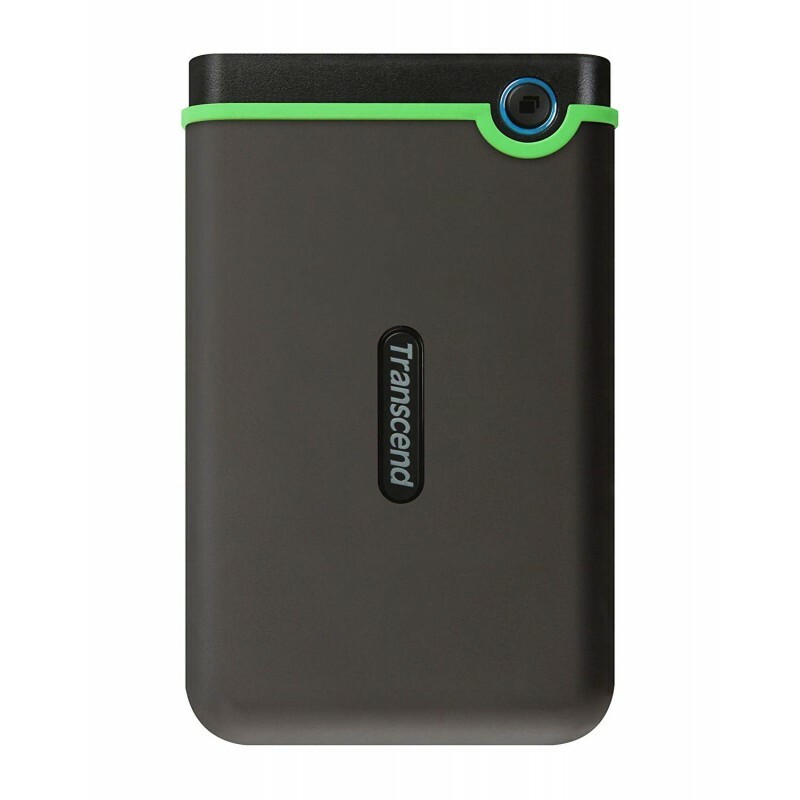 The specifications details are given in below,The StoreJet 25M3 portable hard drive is implemented with the next-generation SuperSpeed USB 3.0 interface that produces transfer rates at least three times faster than USB 2.0 models. 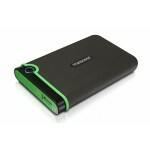 It makes file sharing simpler and swifter than ever with transfer speeds of up to 90MB per second. 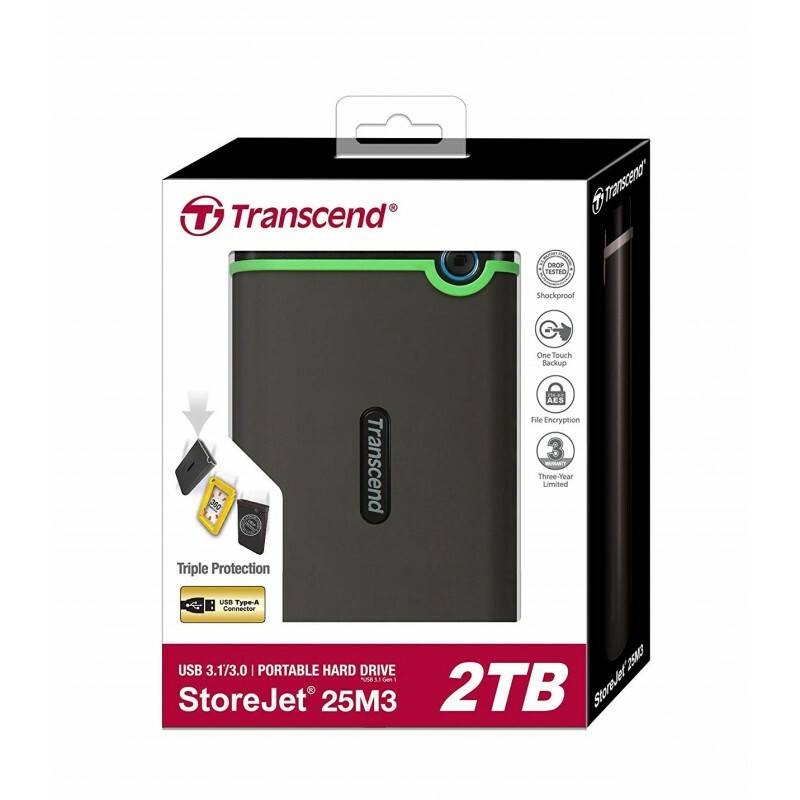 Transcend external hard drive is long-lasting and safe StoreJet 25M3 is guarded by an exceptional three-stage shock stability system to resist even the worst user settings. 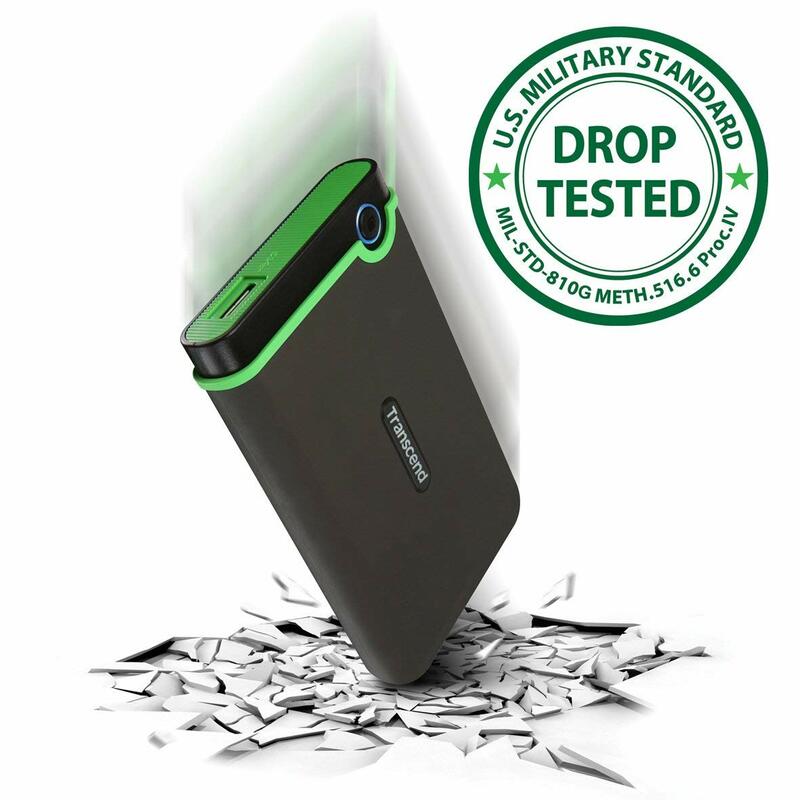 The outer case is constructed of a slip-resistant silicone rubber, augmented by a robust casing and an inner hard drive suspension damper all intended to overcome forces of collision and present highest shock-absorption.